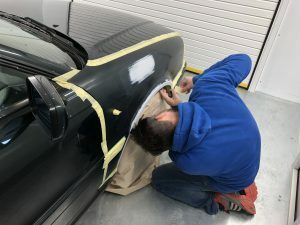 ACH Classic require an experienced paintwork preparation technician and panel work prepper to assist our paintshop. The role will include preparing the restoration panels pre-paint, stripping, cleaning and final polishing. Though this role would ideally be filled by an experienced candidate, we will consider an apprentice to work and learn alongside our team. Excellent rates of pay available for the right candidate. Please contact david@achsv.co.uk for more details, and to submit your CV, or call 01327 353129 to arrange a time to visit our Silverstone workshop.